What better place to climb! 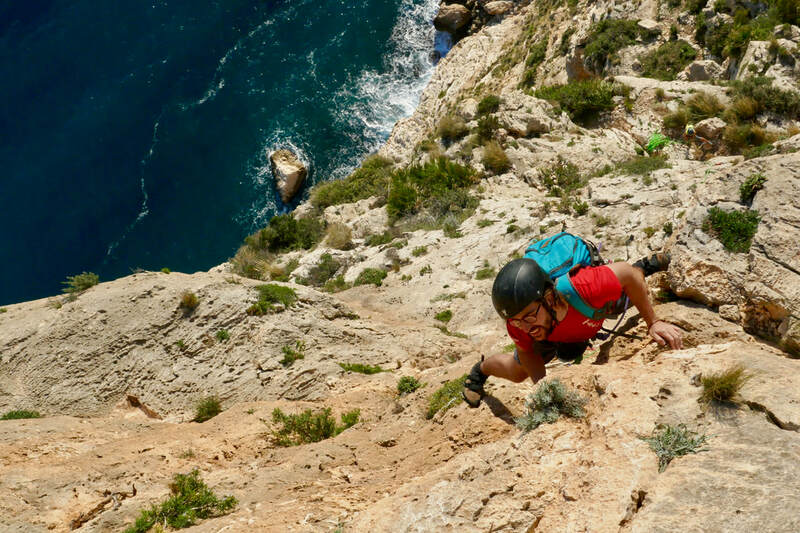 Climbers have been drawn to the Costa Blanca for decades because of its perfect climate and endless choice of crags. Sea cliffs, Mountain crags, Alpine type rock ridges, and valley crags with super easy access. We cater for beginners and improvers and will to tailor the course to suit your needs. Get in touch and let us know what you want! Maybe you already climb indoors and now want to progress onto rock. Or you may never have climbed before but want to give it a go and find your free time lies during the UK winter-time. This is the trip for you. With an excellent climate and thousands of amazing rock climbs of all standards and lengths, the Costa Blanca is 'the' premier climbing destination in Europe between the months of October - April. As with all our courses, everything is tailored for the individual to ensure everyone learns lots, takes away new skills, and has an amazing time climbing lots of routes. From putting a harness on for the first time to leading your first climbing route, we'll be right there with you to offer help and support when needed. You already climb regularly indoors and may climb outdoors too. You're keen to get lots of mileage on rock with a variety of styles and to include 'sport' and 'trad' climbing routes. During the week a number of 'troubleshooting' scenarios will be introduced to enable you to climb safer, with more confidence, and so climb better. You will get the most out of this course if you are currently operating around the 4 - 5 grade range on outdoor routes, diff - severe on trad routes, or 4 - 6b at the indoor wall. We will help you improve your climbing grade through increased confidence, lots of time on rock, and movement coaching. Day 7: Depart - and we hope to take you climbing one more time before you go! How much lead climbing you do is up to you. Whilst we'll work towards and encourage this, it isn't a requirement.